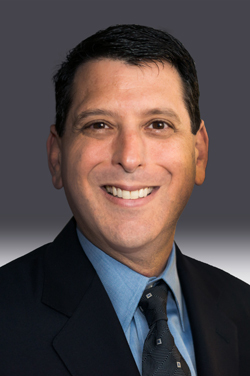 JOSHUA S. BROITMAN | Ostrager Chong Flaherty & Broitman, P.C. Josh Broitman is an intellectual property attorney with more than 20 years of experience counseling large corporations, small businesses, start-ups and individuals in the development, protection, enforcement and defense of their patent, trademark, trade dress and copyright assets. He joined the Firm as an associate attorney in 1993 and became a partner of the Firm in 1998. Josh prides himself on bringing a practical, business-oriented approach to all types of patent, trademark, trade dress, copyright or unfair competition issues for his clients. Josh has provided counsel to a broad range of clients in diverse industries regarding product design, adoption of trademarks, service marks and trade dress, patent and trademark portfolio strategy and management, including rendering opinions regarding patentability, patent infringement, patent invalidity and enforceability issues, freedom-to-operate opinions, and trademark clearance opinions for use and registration. He regularly drafts and negotiates license agreements and related intellectual property documents, and provides counsel regarding strategies for asserting and defending patent, trademark, copyright, and unfair competition claims. In that regard, Josh has participated in many litigation proceedings in U.S. federal courts and trademark opposition and cancellation proceedings before the U.S. Patent and Trademark Office’s Trademark Trial and Appeal Board, including managing discovery, taking and defending depositions, drafting memorandum of law and arguing motions. Josh has also drafted and prosecuted hundreds of patent and trademark applications, and has technical experience in the mechanical, electrical, electro-mechanical and industrial systems arts, and a broad spectrum of technologies and businesses including nonwovens, aerospace, medical devices, telecommunications, consumer electronics and toys, financial news and others. Josh has been awarded an AV® rating from Martindale-Hubbell Bar Register of Preeminent Lawyers, signifying the highest level of legal ability, and very high adherence to the professional standards of conduct, ethics, reliability and diligence.